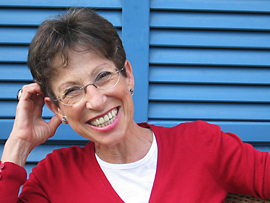 Ruth Wodak is Distinguished Professor of Discourse Studies at Lancaster University. Her research interests focus on discourse studies; identity politics; racism, antisemitism and other forms of discrimination; and on ethnographic methods of linguistic field work. She was awarded the Lebenswerk-Preis in 2018, which honors outstanding life work of personalities who are promoting and achieving gender equality. She was awarded the Wittgenstein Prize for Elite Researchers in 1996 and an Honorary Doctorate from University of Örebro in Sweden in 2010. She has held visiting professorships in University of Uppsala, Stanford University, University Minnesota, University of East Anglia, and Georgetown University (Washington, DC). She is a member of the British Academy of Social Sciences and a member of the Academia Europaea. In 2008, she was awarded the Kerstin Hesselgren Chair of the Swedish Parliament (at University Örebrö). Ruth is co-editor of the SAGE journal Discourse & Society, and of the journals Critical Discourse Studies and Journal of Language and Politics. Recent book publications include: The discourse of politics in action: ‘Politics as Usual’ (2011), Critical Discourse Analysis (4 volumes, 2013), Migration, Identity and Belonging (with G. Delanty and P. Jones, 2011), The Discursive Construction of History: Remembering the German Wehrmacht’s War of Annihilation (with H. Heer, W. Manoschek, and A. Pollak, 2008), The Politics of Exclusion: Debating Migration in Austria (with M. Krzyzanowski, 2009), The SAGE Handbook of Sociolinguistics (with B. Johnstone and P. Kerswill, 2010), Analyzing Fascist Discourse: Fascism in Talk and Text (with J. E. Richardson, 2013), and Rightwing Populism in Europe: Politics and Discourse (with M. KhosraviNik and B. Mral, 2013).